iDK Green Technologies is a USA-based research and development company working to find better ways to generate electricity to drastically reduce our dependence on "the grid" and other natural resources that will make the planet we live on 'greener' with fewer pollutants. Our advanced technology will save us all money, as well as the earth, for future generations. We relentlessly continue research on ways to use our natural resources to help generate viable alternate methods to our current energy resources - Indeed, this is the technology we need in the USA and that we need today ! 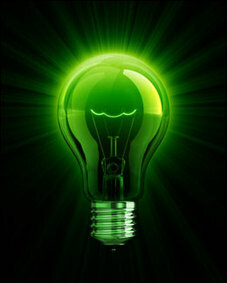 Free Pressure Generators (FPG's) have the potential to revolutionize the 'Green-Energy' industry ! What if you could generate electricity using natural gas without burning it? FPG Technology does just that, converting unused pressure into electricity for about a penny per kilowatt hour! Natural gas that is released from the Earth can have tremendous force behind it. The energy, also known as geopressure, can be hundreds, if not thousands of times greater than we can safely use. To solve this problem, regulators are used to reduce the pressure until it reaches the end-user at about 10psi. Along the way, each “step-down” point is an opportunity to convert surplus gas pressure into electricity. FPG Technologies works a lot like hydro power on a dam - only in this case, energy is being harvested from the flow of gas instead of water, as illustrated in the simple diagram below.